The Relthoza have a noble tradition of blooding their younger warriors on the battlefields of the Firestorm Galaxy. The honour driven society demands acts of heroism and, most of all, victory! Only the strongest survive and defeat ends in death. With a Core Helix, a Relthozan Commander has access to a powerful combination of superior numbers and specialised Cloaking Technology. Leading the line is the Visith Heavy Tank – a strong bulwark of a vehicle housing a Relthozan warrior psy-linked into the machine to provide a powerful commanding presence on the battlefield. Armed with Chrysalis Shard Cannons that fire kinetic projectiles towards the enemy at prodigious rate and Chelicerae Missiles that excel at forcing targets out of cover and into the open, a Visith is a ‘living vehicle’ to be feared. In support of the heavy elements are a pair of Salamas Battle Walkers. These rugged battle engines house a fully developed Relthozan warrior and provide strong close support to the lighter elements using their ability to fire on different targets to their partner. Armed with an Aurelia Shard Cannon and some of the strongest close quarter battle capability on the battlefield, the battle walker is rightly feared across the Firestorm Galaxy. In support of the Visith and Salamas is the Varic Support Walker. This engine has a smaller Relthozan warrior ensconced within, one genetically bred with a natural gift for calculation and battlefield awareness, and as such has been gifted with complex implants capable of linking the warrior to the higher command within Relthozan battle groups. 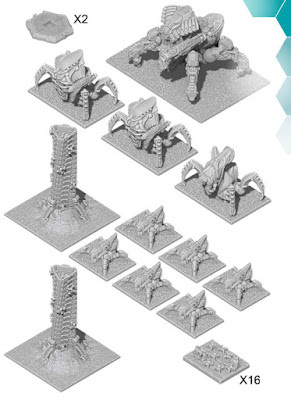 This link allows for Yayiss Spires bristling with Jabri Drone Swarms to be delivered by Sky Drop deep into battlefield hotspots, allowing critical objectives to be rapidly captured. 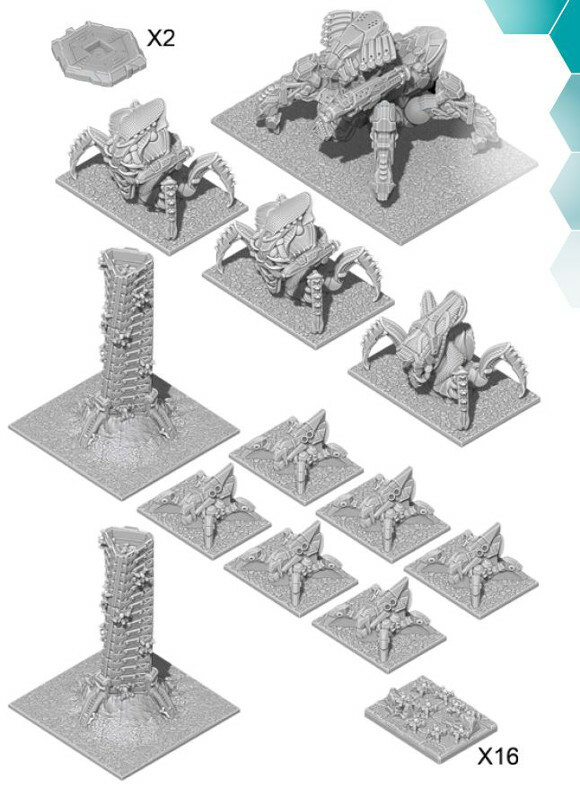 Finally the Talamis Light Recon Walkers give the Relthozans a mobile reserve they can rely on to support their forces or break apart light formations that have suffered under the relentless barrage of the Relthozan gunnery and mandible attacks!